Another opportunity for me to explore in skincare. I was invited to a round table anti-aging discussion with Mr. Gregory Daures, International development marketing manager in Anti-aging of Pierre Fabre Laboratories. Here in our country it most likely that we are not focusing on our skin rather we tend to cover our imperfections with harsh makeup that will make our skin conditions more irritated. Let me share to you some information that I learned about Mr. Gregory Daures. Our skin goes in different stages or as professional called it turning points. You taught that you just haven't had enough sleep but it is the first sign of skin aging, loss of glowing skin and you can find some discoloration on your skin. Sagging or loss of elasticity on the layers of our skin is the second stage of skin aging. The nutrient that can be found before on our skin has been loosened. On my personal input, I taught sagging skin caused by an incorrect way of removing your makeup or caused by some of the enlarged pores if you are acne prone during your teenage years. The third and final stage of skin aging wrinkles, where you can see you're fine lines around your eyes and it changes your facial structure causing you to look a little bit older than you actually are. Now that we both know some facts about skin aging, it is about time to take good care of our skin and use products that are formulated perfectly to improve and prevent skin aging. Eau Thermale Avène, the leading dermo-cosmetics brand in Europe, is deeply rooted in dermatology and hydrotherapy with 260 years of expertise in managing all skin types. Its products are supported by more than 300 clinical studies resulting in high-quality skincare products available for customers all over the world. 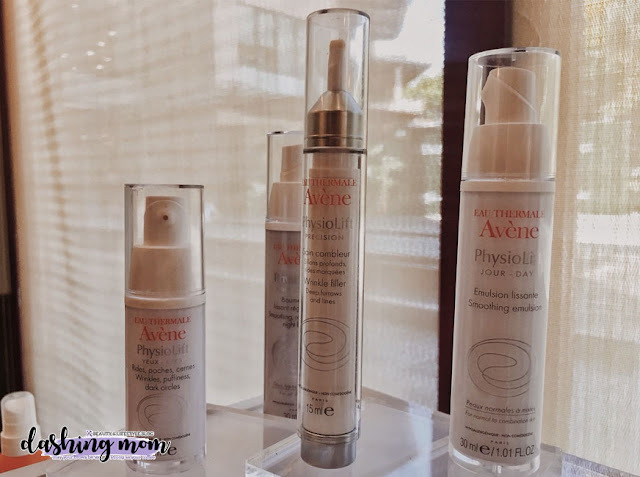 Reading their website https://www.pierre-fabre.com/fr/eau-thermale-avene I can say they worked so hard to discover and formulate their products with quality. 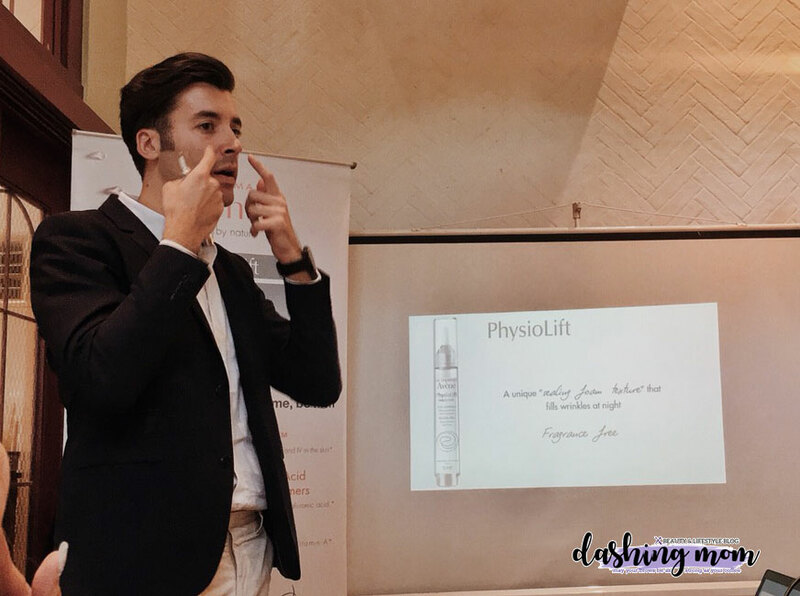 Mr. Gregory Daures recommended for us to use 4 products in their Physiolift line. The product has a light texture that goes well underneath your makeup or powders. Once you spread it on your skin it completely absorbs by your skin. It contains some ingredients that protect your skin from oxidative stress which is Pre-tocopheryl. Hyaluronic Acid Mono-Oligomers 12 kDa that helps replenish your skin in HA and lastly AscofillineTM 10kDa that adds more collagens to the skin. 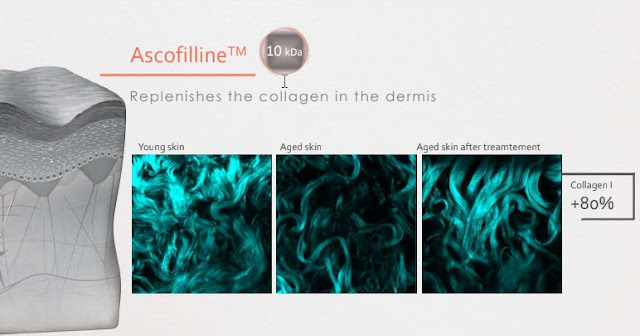 Here's a sample screen capture or representation of the young skin, aged skin and aged skin treated with AscofillineTM 10 kDa. As we compare skin regenerates more collagen, Collagen is an important protein in the body and gives structure to your skin, bones, muscles, and all other connective tissue. Physiolift Jour/Day - Emulsion lissante is a lightweight cream that can be applied during your morning routines. It contains Antioxidants which helps to protect against free radicals and contains Anti-aging agents (Hyaluronic Acid and Collagen booster) plus it is good for sensitive skin, helps improve is firmness and luminosity. During night time it is the best time to put all of the necessary creams that will help your skin regenerates and improve. Physiolift Night cream has a thick consistency. Night cream best use to massage your skin to help skin absorb more products. A fragrance-free product that can fill wrinkles during night time because of its sealing foam texture. All 4 products reduce skin aging effects for your face. Can't wait to try these products after 5 more months because now I'm pregnant and some of the products contain ingredients that might affect the developing baby inside of me. If you're asking for the prices of each product check details below. Avène Products are available in Watsons and Mercury Drug Stores in Metro Manila. 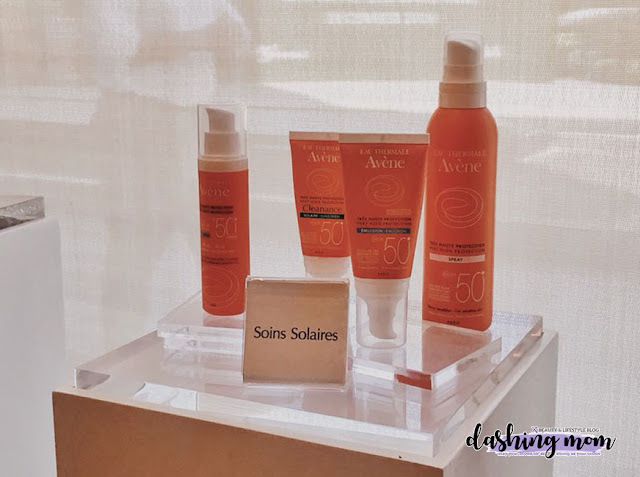 Don't forget to follow their social media accounts to keep updated for the latest products and promos from Avène.